Photo Credit // Laura Jean Null Dr. Kelly and Rob McKenzie will supervise the trip. 20 spots are open. Does the prospect of studying in a foreign country sound appealing? Experiencing a new culture while you continue your education at ESU? That is the experience that the Provost’s Colloquium was presenting. The Provost’s Colloquium presented their pitch to students and alumni about their summer study session in Sweden. They presented at the Beer’s Lecture Hall on February 28 from 5:30 p.m. to 7 p.m. The presentation was hosted by both Dr. Rob McKenzie and Dr. Kelly McKenzie, both of whom were the supervisors of the last study abroad session in Sweden. 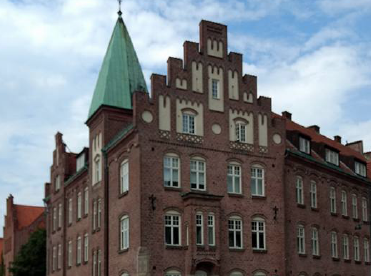 The study session takes place at Lund University in Lund, Sweden. There, students will partake in a course of Comparative Media, which examines media across different cultures. During the presentation, the presenters went over the different activities that the last class who went on the trip participated in. From ancient viking games to a day at the spa, both Dr. McKenzies relayed to the audience about the unique experience that this trip can bring to students. The trip is open to 20 students. Prerequisites for the Comparative Media course are waived entirely. The cost of the program is $2800 plus the cost of tuition. The package includes the airfare and the transportation around Sweden and a train trip to Copenhagen. There are four planned excursions for students to partake in on the trip to broaden their experiences. The trip is scheduled for July 9 to Jul 28. The first part of the trip is an online class that goes from July 9 to July 13. The trip then proceeds to Sweden from July 14 to July 29. For more information on the trip and potential scholarships, contact Dr. Rob McKenzie at mckenzie@esu.edu.